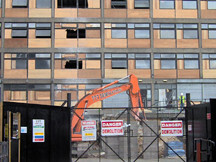 London Wildlife Trust associates itself with Lend Lease at Heygate. Why? 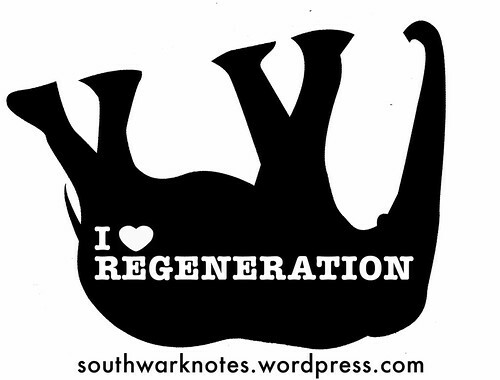 | Southwark Notes - whose regeneration? 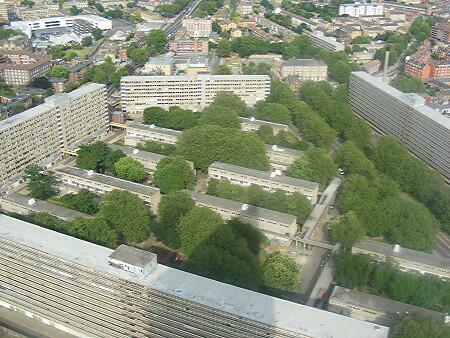 London Wildlife Trust associates itself with Lend Lease at Heygate. Why? 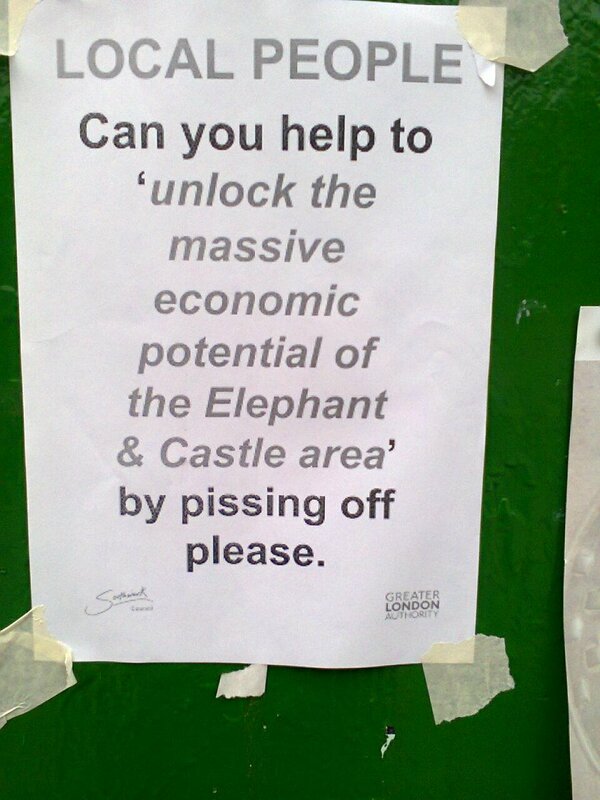 Posted on April 14, 2014 | Comments Off on London Wildlife Trust associates itself with Lend Lease at Heygate. Why? We just sent the London Wildlife Trust a letter. They are ‘the only charity dedicated solely to protecting the capital’s wildlife and wild spaces, engaging London’s diverse communities through access to our nature reserves, campaigning, volunteering and outdoor learning‘. Yet they seem happy to associate themselves as both a charity and membership organisation with Lend Lease in a somewhat smug and rather ridiculous video promoting the Elephant Park development on the site of the old Heygate Estate. In this video environmentalist Chris Baines and LWT Chief Executive Carlo Laurenzi OBE discuss how great the development will be. Baines, a famous broadcaster and environmental consultant, and ‘is retained by developers Lend Lease to advise on green infrastructure for the redevelopment of the Heygate Estate, Elephant and Castle‘, hence the video. 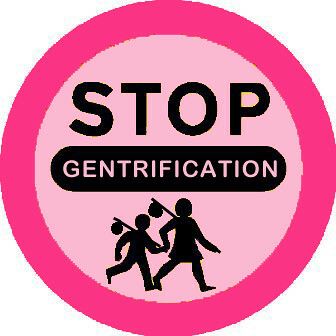 We wonder if the ‘National Parks or the countryside‘ will really be coming to Heygate as part of the Elephant Park ‘regeneration’. 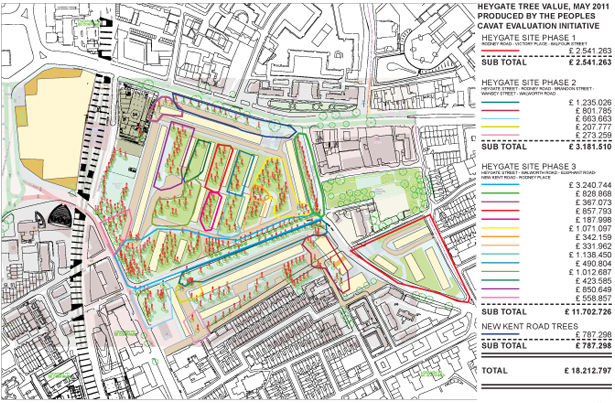 We doubt that the new development will offer the same biodiversity let alone the amazing tree canopy that Heygate Estate offered in and around it’s site (see photo above). – Do you think it’s right that your CEO Carlo Laurenzi appears in a video by global property developers Lend Lease promoting their development at the Elephant and Castle? 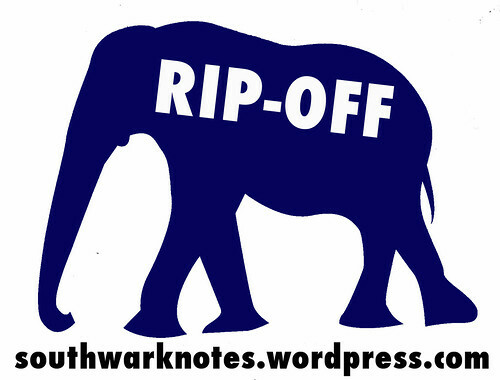 – Does your membership have any say on this implicit support for a development that is currently felling hundreds of mature trees on Heygate site and also some quite rare trees such as the Black Locust? – Was Carlo paid for his appearance in this video? – Was the video scripted? – Is it acceptable to associate the LWT name, a membership organisation, with a giant property developer? – How can such a decision to associate the LWT name with Lend Lease be made accountable to your membership? – If the LWT name is being associated with this development and video, why was the video not posted up on the LWT Twitter timelines where many LWT updates and messages are posted normally? We will publish any reply we get from them. 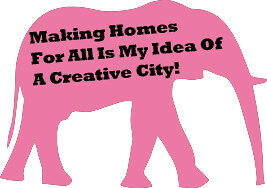 Lend Lease and these ‘environmentalists’ seem to have forgotten than it was only the work of local people who produced an independent survey of the trees and their community value that got Lend Lease to finally see them as an asset and not as stumpy green and brown things in the way of building all those eco-homes. 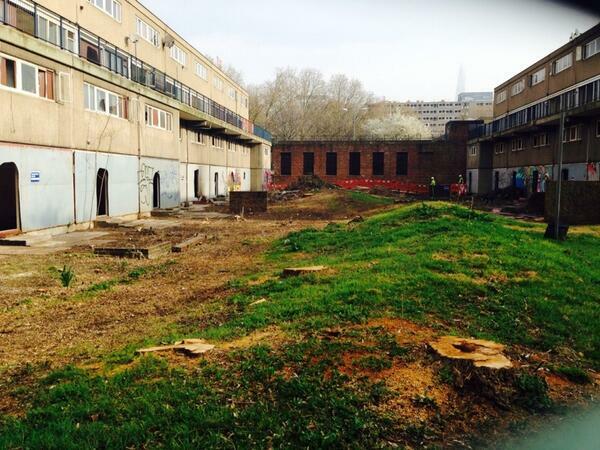 Here is a recent picture of the Lend Lease sustainable development in Heygate as hundreds of mature trees get axed to make way for private homes and er..a new park! In the video they ramble on about the mature trees that will be at the heart of the London Park development urban idyll. This entry was posted in Uncategorized and tagged Carlo Laurenzi, Chris Baines, Elephant & Castle, Elephant Park, Heygate, Lend Lease, London Wildlife Trust, Southwark. Bookmark the permalink.